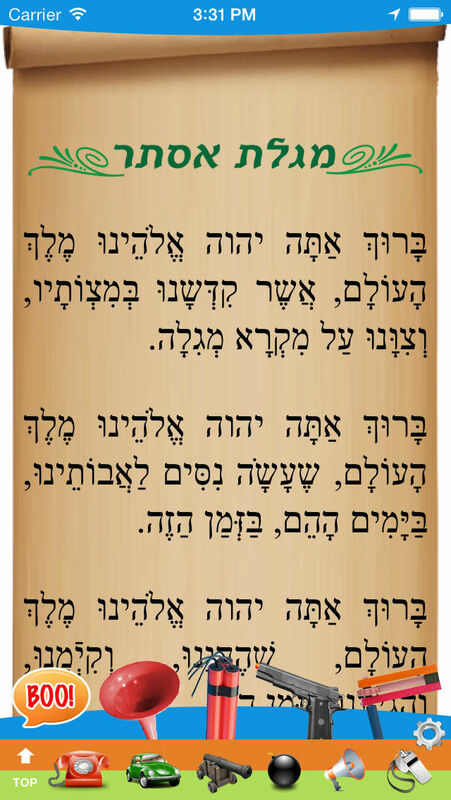 Read through Megillas Esther (מגילת אסתר) on the Jewish Holiday of Purim using this iPhone iOS & Android app. 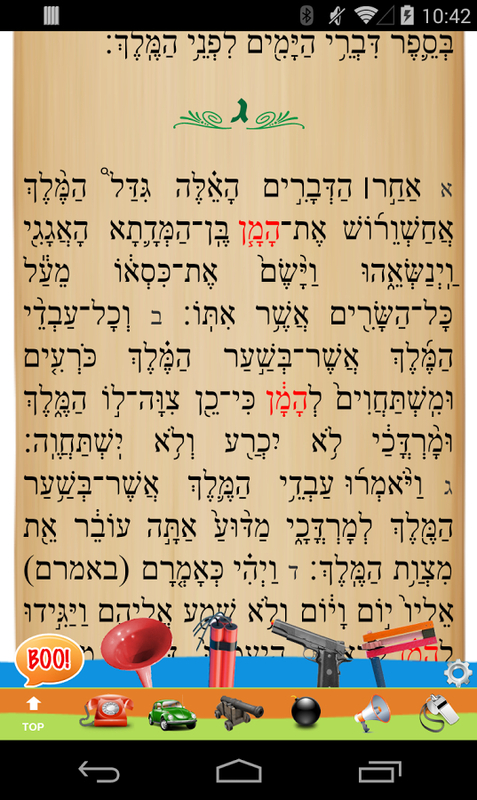 The Megillah allows you to scroll through verse by verse with the flick of a finger. 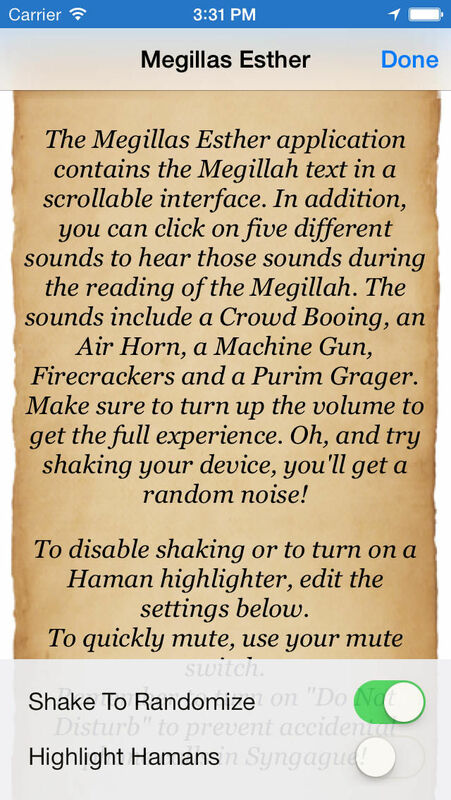 Plus, when it is time to make noise with the grager, you can click a button and get a virtual grager noise. 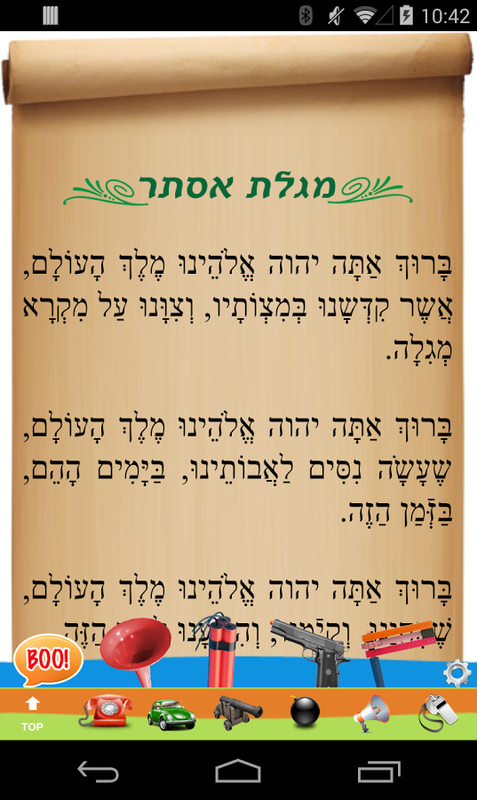 We also have other noises such as, machine guns, the crowd 'booing,' firecrackers, and an air horn. 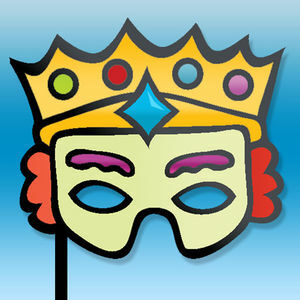 Enjoy this app on Purim and to teach your children about this special holiday. 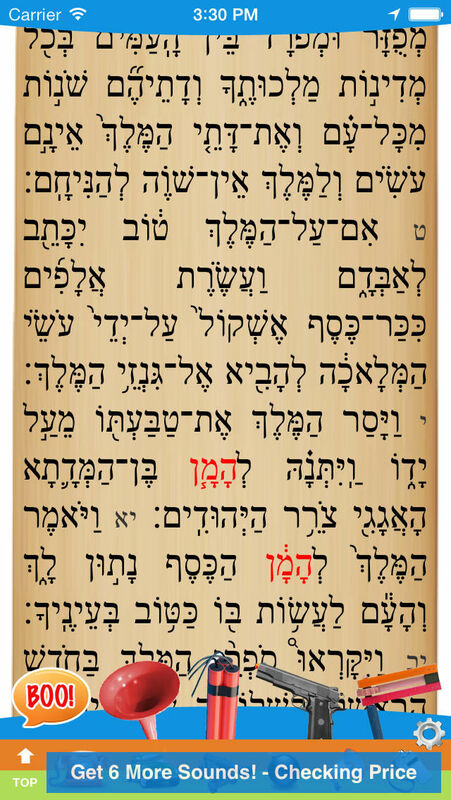 Megillas Esther (מגילת אסתר) for iPhone and Android includes many features. 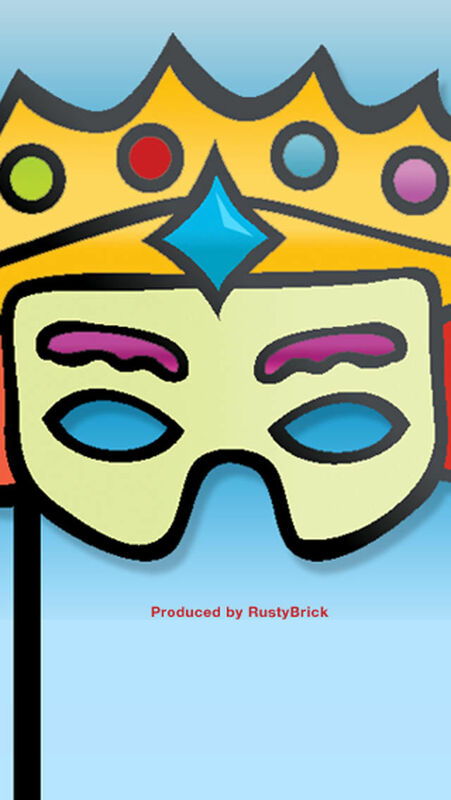 Important: Make sure your volume is up and your vibrate setting is off, to hear the sounds.